Features: Protect Bead Clasp. Do not submerge in water. 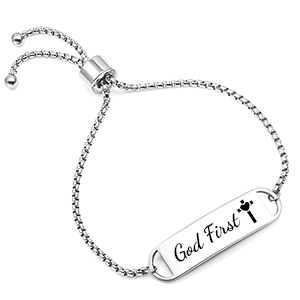 This elegant, adjustable personalized bracelet for ladies comes with the words God First and the heart cross symbol custom engraved on the front and there's rooms on the back to add a special dates, meaningful coordinates, or text. 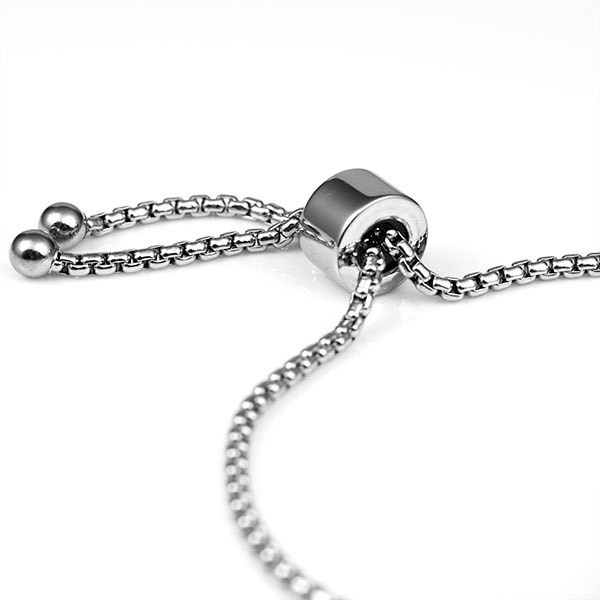 This custom bracelet is made with surgical grade stainless steel and it won't tarnish or rust. It looks beautiful and feels very comfortable during wear. Do not submerge sliding bead in water. It will harm the silicone in the bead that allows the bracelet to be adjustable.